Affair Article: Signs of a Cheating Spouse vs Infidelity: What’s the Difference? 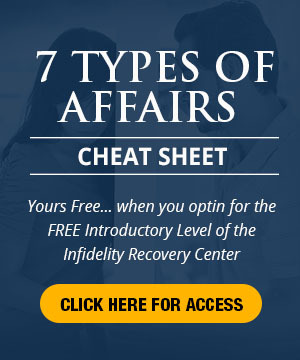 Signs of a Cheating Spouse vs Infidelity: What’s the Difference? How are signs of a cheating spouse different from infidelity? In our society, there are certain distinctions that make cheating and infidelity different. A cheater can is most often associated with the “I don’t want to say no” type of affair in the seven different types of affairs that I’ve come up with. And a person involved in infidelity can be described by the other six types. Cheating, therefore, is kind of a lifestyle to this person. He does not see it as bad or wrong, but rather just something that people do. And infidelity is usually marked by conflicting emotions – confusion, pain and doubt – about this person’s life and what he is doing with it. And since cheating and infidelity are different, it would follow that the signs of a cheating spouse will differ from signs of a person involved in infidelity. 1. He has more than one partner. He sees these affairs as conquests, not relationships. He does not want to develop intimacy or any emotional entanglements, nor does he have the capacity to do so. One of the most common signs of a cheating spouse is that he moves on from one other person to the next because he wants to satisfy his sexual urges, which is the only basic need that is important to him. 2. There is no guilt of any kind from the affairs. He does not go through internal turmoil over what he’s done. He does not lose sleep over it. He sees these affairs as his right, as something that he deserves to have, something he is entitled to have. And he becomes angry when people question these actions. 3. The people he surrounds himself with will think the same way. He will not choose to be around people who will question what he does. He will be with people who will ignore his cheating and not say anything about it. It is even very possible that these people will encourage his actions and behavior and find it amusing. This is one of the signs of a cheating spouse that you will likely notice. 4. Anticipate and attack from the other person or persons. You never really what kinds of promises he makes to the other person. She could be expecting some things that your partner had no intention of fulfilling, such as leaving you to be with her for example. These things are very common promises that cheaters make to the other person. And when it is not granted, there could very well be an attack, and it could be done to you. 5. You will not hear anything about breaking up, separating or divorce. He may be fooling around but for him, you are still an integral part of his life and he does not want to lose that. He is very content in your relationship and having you is a comfort to him. And even if the signs of a cheating spouse are very obvious and you confront him about it, he will still not give up his wayward ways. But there is a catch – ageing. He won’t want to keep you around anymore if you will be his perfect, beautiful wife. He wants to be seen as a reflection of perfection and beauty. He wants people to envy him and everything he has, including you. And if he does not see you helping him fulfill that, he may cast you aside. 6. He is very afraid of failure. It is something that absolutely cannot happen. He will do everything he can – manipulate, coerce, bribe, anything – to come out on top and be the best. Because once he fails, he crumbles. He may even expect you to be the person who will help him get back up on his feet when this happens. 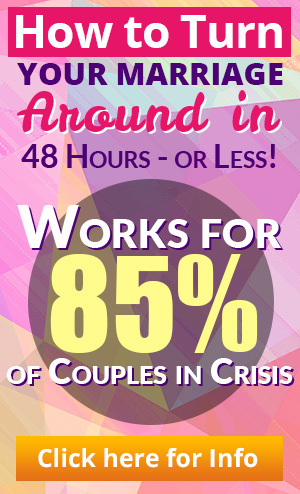 For one on one infidelity coaching on other signs of a cheating spouse click here.